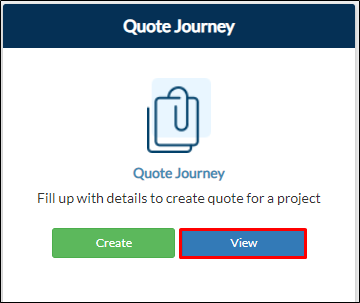 From your project page, go to Pre-construction tab > View on Quote Journey form tile. From your navigation bar, go to Pre-Construction Phase > Quote > Quote History > Current Quotations. Or type in 'Quote History' on the search bar located on the upper right corner of your portal. 2. You will be redirected to Quote History page where you can view all the submissions. Use Update button to edit or modify the details of your submission. Use Duplicate button to duplicate the record. Use Archive button to permanently delete the record. Use the Win or No Win button to set the status of the records as win or no win.